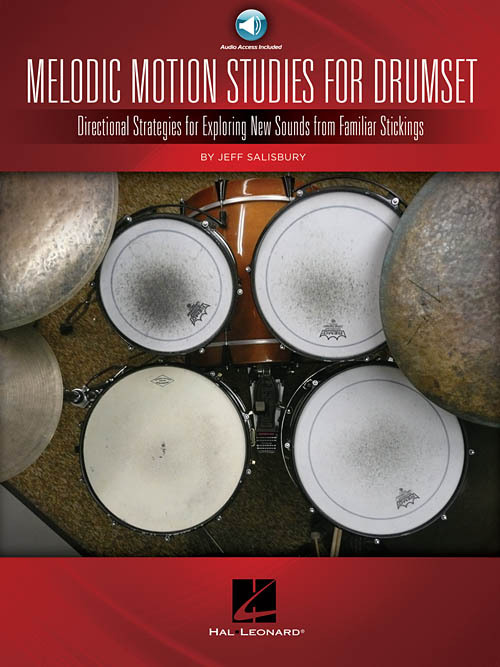 Motion Studies for Drumset is packed with exercises that will enable one to develop a high degree of fluency getting around the drum kit when playing fills or solos. These musical exercises explore some of the infinite possibilities relating sound to a variety of motions to develop freedom of movement on the drums. Covers: Clockwise and counterclockwise motions; Paradiddle inversions; Vertical, horizontal and diagonal inversions of paradiddle-diddles; windmill patterns; Rock, jazz and Latin applications. The book includes access to audio tracks (for download or streaming) with most examples played at slow and fast tempos. Jeff Salisbury teaches drumset at the University of Vermont and is a faculty member of KoSA Percussion Workshops. He has performed, toured and recorded with artists including Albert King, Cold Blood, Linda Tillery, Chuck Berry, Bo Diddley and others.